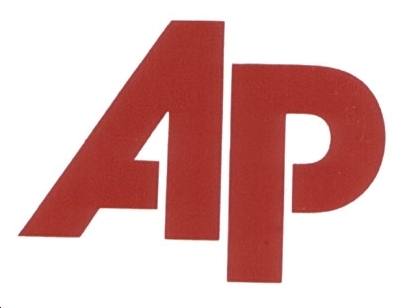 The layoffs at the AP are indeed happening today. We're compiling a list of all the casualties—the ones we hear about and the ones reported elsewhere. Click through for our continuously updated list. From a tipster: "At least one business news staffer let go today." [Not in NYC]. More from the same tipster: "Make that at least two biz news staffers, including NYC editor. Also likely a 3rd biz reporter in NYC." And the latest tally: "Here's the damage: 3 biz reporters (nyc, dc and pittsburgh) Also 1 nyc biz ed. A slew of ea's nationwide, some photogs and 2 national writers.)" From a tipster: One staffer laid off in Dallas; and, "one of the news editors (a specific AP title — a supervisory position) in either Kentucky or Tennessee, so there will be one editor for two states." From Erin Carlson: Five layoffs in the multimedia department in the Manhattan headquarters, "and one staffer is crying in the bathroom." From Michael Calderone: One layoff in the Washington, DC research department. From a tipster in DC: The word in the DC office is that there will be three layoffs today, and three more later in the week. UPDATE: Our tipster says the DC layoffs include a business reporter, a DC "enterprise team" reporter, and an assignment desk staffer. Three more layoffs there could be coming as early as this afternoon. From a tipster: "I was one of the editorial assistants let go. I was told it was a business decision to let go nearly all editorial assistants. Some in cities of regional desks will be reassigned to handle EA workload there." From a tipster: They hear that "a high percentage" of the editorial assistants nationwide are being let go, as well as a National Photo Editor. In all, they hear, the layoffs will total 80-90 people. From a tipster: "There were at least three layoffs in the Middle East. As far as I know, all were newspeople." From a tipster: "The news editor in Kentucky and an editorial assistant in Ky. were let go. One more cut possible in Ky. today." From a tipster: "Closed bureau in central Wisconsin, laid off its only reporter." From a tipster: "The AP liaison/executive director of the Associated Press Managing Editors (APME), an AP employee, was let go." From a tipster: "The Little Rock news editor will now be overseeing Oklahoma, too." From a photographer tipster: "I've heard 9 in photo nationwide, (1 editor and the shooters, all part-timers) got the ax." From a tipster: "Nine in Caribbean bureau in San juan. More reorg to come. Bureau expected to close." From a tipster: "3 gone in [Kentucky]. EA, news ed and one in state capitol." From a tipster: "The Jacksonville, FL AP bureau was closed and the correspondent of 30+ years there was laid off." From a tipster: Layoffs allegedly include national writer Todd Lewan and two photographers from Boston. From a tipster: "The fired AP photographers were Harry Cabluck in Austin Texas, Donna McWilliams in Dallas, Al Grillo in Anchorage, Mary Ann Chastain in Columbia SC, and Winslow Townsend and Lisa Poole both of Boston. The senior photo editor was Victor Vaughan, the #2 management person in the department at NY headquarters." From a tipster: "They laid off the photographer in Vietnam." From Bloomberg: Yesterday's AP layoffs totaled 33 reporters, 19 editorial assistants and 5 photographers. [Clarification: this only covers union members]. From a tipster: "The Sports Editor - Broadcast/OnLine Video based in NYC just got laid off." From a tipster: Frank Bass, a Pulitzer winner, investigative reporter, and the AP's computer-assisted reporting guru, has been laid off. He tells us, indeed, "'I'm quite unemployed at the moment." From a tipster: "I just heard they laid off the longtime correspondent in Dayton, OH, this morning. That's a single-person bureau." From a tipster: More details on what appears to be widespread closure of smaller AP bureaus: "Layoffs include Ron Word, the correspondent in Jacksonville who has witnessed some ungodly number of executions for AP. That one-person bureau is being closed. The one person bureau in Mobile, Ala. is being closed - but it was vacant anyway - the last staffer there took a buy out a while back. Same thing for Albany, Ga. [UPDATE: Elliott Minor emails us, "The list includes information that the Albany, Ga., correspondent took a buyout. That's not correct. I was the correspondent. I retired in April, 2007 with 35 years of AP service. I was not replaced, so essentially the office was closed, although I don't think AP ever said so officially."] The news editor in Louisville, Ky. was let go." From a tipster: One of the DC layoffs was enterprise reporter Rita Beamish. "She covered the White House during Bush I and was a complete holy terror on economic stories. They're going to miss her enormously." From a tipster: One editorial assistant was cut in Los Angeles yesterday, and "broader cuts" are expected there today. From a tipster: "Michelle Locke, Berkeley, Calif., correspondent with 24 years in at AP, laid off Tuesday, and Berkeley bureau closed. Also, AP named a handful of 'interim' regional photo editors to fill in the gaps." From a tipster: "AP broadcast lost three yesterday in Washington and one today in New York." From a tipster: "An EA and a correspondent (a 25-year veteran of AP) are gone in upstate New York." From a tipster: "From the NY/Nat.Desk: Mark Kennedy, Polly Anderson, Yvette Blackman and state buro PHOs around the country, Lisa Poole, Mary Ann Chastain, Al Grillo and Donna McWilliams." From a tipster: "Sue Lindsey, Roanoke correspondent who covered the Virginia Tech shootings, was laid off Wednesday. Another one-person shop. Phyllis Mensing, longtime correspondent in Bismarck, N.D., was laid off." UPDATE, from an AP tipster: "Can confirm the correspondent in Bismarck was laid off, but that isn't the 'only' person there. Three other staffers remain in that city. Laid off correspondent was management." From a tipster: "A couple of people from the Boston bureau were let go on Friday, then two more today (Wednesday) - a woman named Nancy who was there for 20 years and a man named John who was there for 40 years. Layoffs made by new bureau chief Bill Kole." From a tipster: "I know AP fired a text reporter in Beijing last week and at least one other person from the bureau as well." Wednesday, Nov. 18. The prior day (Tuesday), the same AP executives laid off Mark Riffle, an editorial assistant in the Columbus, OH, bureau. Mark also had 29 years in with the AP. Mark and Jim are both really good guys. I've worked with them both." From Joe Monahan: Deborah Baker, one half of the AP's Santa Fe, NM bureau, was laid off. From a tipster: "I also know from AP Jerusalem that they laid off reporter [Steve Weitzman]." From a tipster: "Michigan lost an editorial assistant in Detroit, a state government reporter in the state Capitol (Lansing) and the correspondent in Grand Rapids (AP closed that one-person bureau I believe)." From a tipster: "One of the two Syracuse correspondents was terminated Weds." From a tipster: "New Mexico also lost an editorial assistant in Albuquerque." From multiple tipsters: "This may have been the final one. [Knoxville], Tennessee Correspondent Duncan Mansfield, minutes before AP story moved about the layoffs." 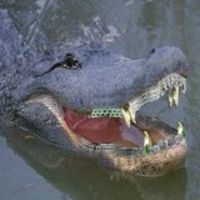 From a tipster: One editorial assistant gone in Miami. From a tipster: "The national desk was simply eliminated. Among the national editors laid off were veterans Marty Steinberg, Polly Anderson and Yvette Blackman. Mark Kennedy, a writer/editor in the entertainment department also let go." These staffers were based in various cities in the US and abroad, reportedly. From a tipster: "The Boston layoffs were two part-time photogs, an editorial assistant and an office assistant (answered phones, went through newspapers, picked stuff up from courthouses and shuttled things to the statehouse bureau)." From a tipster: "Missouri: Betsy Taylor, a reporter in St. Louis; Brian Charlton, the editorial assistant in Kansas City and a buyout has been offered to cut one more Kansas City reporter." From a tipster: "News editor in Richmond, Va., is leaving. The news editor (a supervisory position) in Charleston, W.Va., will oversee the news report in both Virginias." From a tipster: "A few days before the other cuts were announced AP closed the Spanish-language News desk in Puerto Rico and let go a technician there, eliminating eight jobs. Four new Spanish-language jobs are being created elsewhere." From a tipster: "Both of the editorial assistants in Dallas, who helped to serve the entire state of Texas, were laid off." From a tipster: "AP-Hartford News Editor Patrick Sanders let go about an hour ago...He was told Wednesday by the New England topguy that the AP was cutting out the news ed job and they were opening up the Boston news ed post to either him or Karen (she's the Boston news ed)....She won! Also in Hartford, a biz writer reassigned to the local desk (one more cut in the biz dept that they kept ramping up over the last five years, sted the techno new media beats)..."
From a tipster: This memo went out Thursday afternoon to New England AP staffers. management team for New England. overseeing all six New England states. best in his career and next steps. stories that will set AP apart and make us essential. That's exciting, and Karen and I look forward to working with all of you. We'll update this list as we hear more. If you have details, email us.